Sound Stage provides professional installation with the highest quality standards from our highly-trained install team to the top of the line components the professional AV manufacturers have to offer. 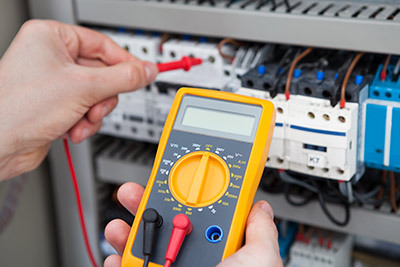 Our systems are warrantied for workmanship, installation and service issues for 90 days. The system components, provided by Sound Stage, carry comprehensive manufacturers warranties, ensuring the ongoing successful operations of your system. Customized Service Contracts are available to provide years of care free use of your system. At Sound Stage, we are very proud of the level of dedication and response we provide our clients. We offer both remote access and direct communication technical support. Let us keep a watchful eye on general maintenance and dispatch aid should a problem arises. Who better to diagnose trouble than the AV partner that designed, programmed and installed your system? If your system was not installed by Sound Stage we are THE best diagnostic team around. We find that, aside from faulty or poorly executed gear, functionality programming is the biggest offender of a grumpy system. We have Crestron Master and AMX Solutions Master programmers on staff whom are experts at solving a good puzzle. Desiree Staiano - Archbishop Edward A. McCarthy High School. To speak with a service contract specialist call 407-679-5090, Option 1.